Michael A. Robbins has been practicing law in the State of Michigan since 1982. His practice concentrates exclusively in the area of Family Law. Family law includes such areas as divorce; child custody; parenting time; spousal and child support; property division; division of retirement benefits; tax consequences of divorce; mediation and arbitration; annulments; paternity; prenuptial and postnuptial agreements; change of domicile; grandparent's rights; domestic violence; and post-judgment proceedings. Michael A. Robbins is past chairperson of the Family Law Section of the State Bar of Michigan, past president of the Michigan Interprofessional Association and past president of the Michigan Chapter of the American Academy of Matrimonial Lawyers. Mr. Robbins has not only been named one of the "Best Lawyers in America" in family law, but was also showcased in Newsweek as one of the Eight Leaders in Family Law in the United States. 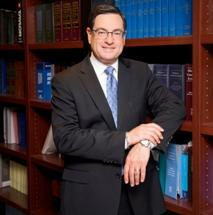 He has also been named one of the top 100 lawyers in Michigan by the New York Times and Super Lawyers. He is a frequent lecturer on the subject of "Family Law" in Michigan. He has appeared as a guest on such television programs as "Good Morning America", "The Today Show" and "CBS Good Morning". He has taught Family Law and has authored numerous articles in the area of Family Law. Based upon Mr. Robbins' extensive experience in the area of Family Law, he often assists the courts as a mediator and arbitrator in the resolving Family Law disputes. Michigan Lawyers Weekly; Guest Family Expert for WXYT Radio "Ask the Family Lawyer"
Guest Family Expert for WJR Radio "Mitch Albom Show"